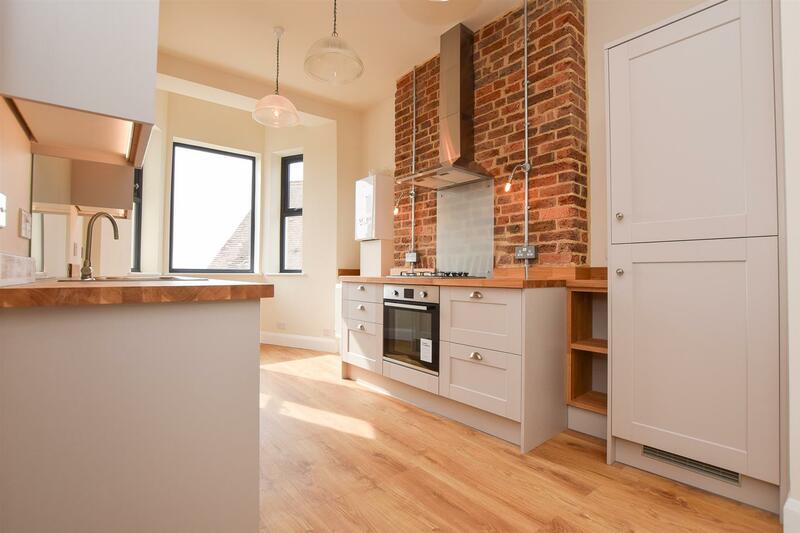 This stunning two bedroom GARDEN APARTMENT is in a highly desired spot on the WEST HILL, a few minutes walk to Hastings town centre with its mainline railway station, the Old Town and the beach. Spanning two storeys the ground floor accommodation features a BEAUTIFUL KITCHEN with bay window and an open-plan living room. There is also a separate utility/washing machine and drier cupboard on this floor. On the garden floor below are TWO DOUBLE BEDROOMS, a fabulous family bathroom and a separate cloakroom. The private, west-facing rear garden features a sunny decked area, raised planters and a lawn. There are stunning views across Hastings and St. Leonards and out to sea. This beautiful apartment, with it’s HIGH QUALITY FINISHINGS is being sold CHAIN FREE, with a brand new 999 year lease and a SHARE OF FREEHOLD. It’s not to be missed. 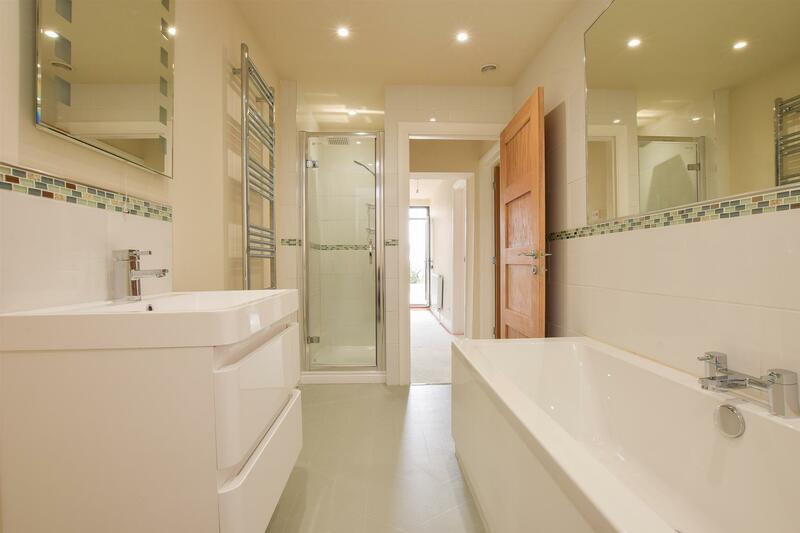 This TWO BEDROOM MAISONETTE is simply exquisite. Set on the WEST HILL, its a few minutes walk to Hastings town centre with its mainline railway station, the Old Town and the beach. The first floor offers a bright living space and stylish kitchen. 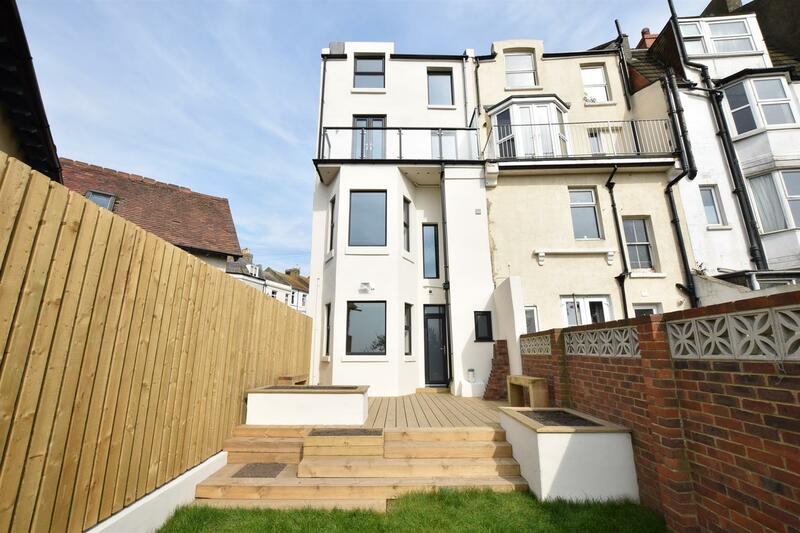 Floor to ceiling doors open to a REAR BALCONY with stunning views across Hastings, St Leonards and beyond as far as Eastbourne. There are TWO DOUBLE BEDROOMS on the upper floor, along with a good-sized BATHROOM and built in storage space. With HIGH-QUALITY FINISHINGS, exposed brickwork in all the main rooms and unrivalled views, this fantastic apartment is being sold CHAIN FREE, with a brand new 999 year lease and a SHARE OF FREEHOLD. It’s to be missed. Two bedroom TOP FLOOR APARTMENT set in a sought after, leafy Road with ALLOCATED PARKING and COMMUNAL GARDENS. The accommodation enjoys an OPEN LIVING AND KITCHEN SPACE with TWO DOUBLE BEDROOMS and a family bathroom. From the rear of the property there are FAR REACHING VIEWS across the town. This property has a lease term of approximately 66 years remaining, this can be renewed to a new 125 year lease for approximately £12,000. Luxury TWO BEDROOM, two bedroom apartment set within the redevelopment of The old Methodist Church which has been transformed in to 6 SPECTACULAR UNITS. The beautiful accommodation here enjoys a generous open plan living space and kitchen space along with two double bedrooms and a BOUTIQUE STYLE BATHROOM. Having been sympathetically restored to an EXCEPTIONAL STANDARD this property seamlessly combines a CONTEMPORARY and open plan yet practical space. Enjoying a brand NEW LEASE, SHARE OF FREEHOLD and ALLOCATED PARKING this pad would make an excellent first time home. Gorgeous THREE BEDROOM FAMILY HOME set within a quiet and private road in Cooden. Having been extended the ground floor offers REALLY VERSATILE ACCOMMODATION with a bright living room and dining space along with a handy downstairs cloakroom and utility. The OPEN PLAN KITCHEN AND LIVING SPACE here must get a special mention; it is meticulous, with a CONTEMPORARY FEEL and BI-FOLDING DOORS opening onto a stunning terrace which leads on to the level lawn. There are three bedrooms found on the first floor, one of which benefits from an ENSUITE SHOWER ROOM and there is also a family bathroom. To the front of this superb house there is AMPLE OFF ROAD PARKING giving access to the GARAGE, there is also GATED ACCESS TO A SEPARATE AREA OF GARDEN which offers one gated parking space and additional garden space. This fantastic property is not one to be missed, being BEAUTIFULLY PRESENTED and with versatile living space it’s perfect for family life. PERFECT tucked away home located on the stunning and popular WEST HILL with its walks, views and local amenities. Being DETACHED the ground floor offers accommodation of entrance hall, lounge with doors to the garden, large KITCHEN/DINING room, UTILITY Room, bedroom and separate W.C. The first floor has landing, a further three bedrooms all being served by a MODERN shower room. There is a lovely decked and an easy to maintain well presented garden area perfect for outside dining and relaxation. There is also OFF ROAD PARKING with lockable gates on the driveway. Bright and spacious TOWN CENTRE PAD arranged over two floors, perfect for those looking for easy ACCESS to local amenities of train station, bus routes and the Station Plaza with doctors and dentist, local shopping facilities with our famous beach and promenade a short distance away. The accommodation here spans TWO AIRY STOREYS with the entrance floor arranged as a bright living room, modern kitchen, a bedroom and a family bathroom. Sat on the upper level there are two further bedrooms served by a shower room. With THREE DOUBLE BEDROOMS and TWO BATHROOMS this fab apartment has a 124 year lease and is not one to be missed. One-bedroom, FIRST FLOOR FLAT set within the iconic, Grade II-listed MARINE COURT. Found on St. Leonards Promenade, close by to TRENDY restaurants, local shops and the BEACH. The apartment faces the quiet north side of the block within close proximity to the parking at the rear of the building. Arranged as a living room with a separate kitchen, bedroom, and bathroom, this property makes the perfect SEASIDE PAD. This contemporary detached house offers large, bright and airy accommodation throughout creating a wonderful space for FAMILY LIFE. 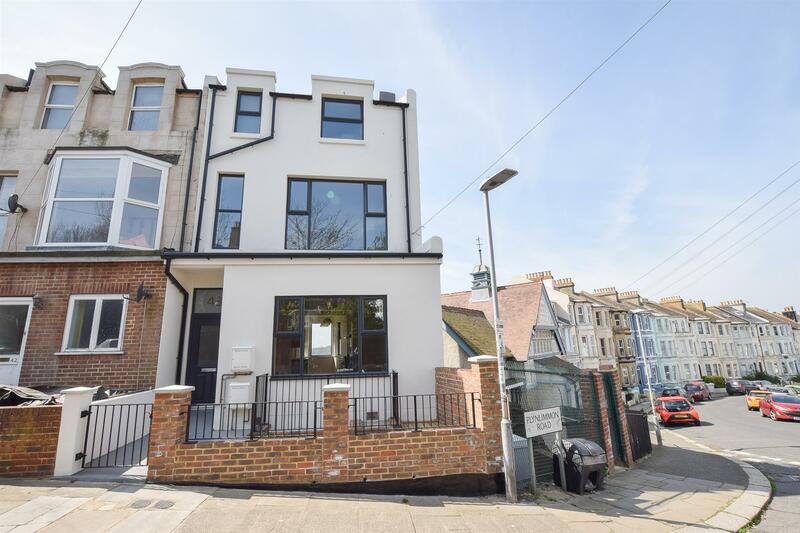 Found in an exclusive GATED DEVELOPMENT and set on the outskirts of St. Leonards it’s ideally positioned for access to the A21 and in to Battle. Constructed only ONE YEAR AGO this FOUR BEDROOM home offers lavish living with high specification fixtures and fittings throughout. Spanning TWO WELL THOUGHT OUT LEVELS the sense of space here is undeniable, with two reception areas, a study and a VAST EAT IN KITCHEN. There are four bedrooms with built-in wardrobes and THREE WASH ROOMS, two of which are en-suites. The rear gardens here are well manicured to offer a low maintenance space with SOME SECLUSION . To the front of the property there is OFF ROAD PARKING available for multiple vehicles and a DOUBLE GARAGE. Handsome 1930’s style DETACHED RESIDENCE, featuring an in-out driveway, large gardens bay fronted accommodation this is a house that we adore and we won’t be alone. This fantastic family home offers sizeable accommodation arranged over two floors with a contemporary, EAT IN KITCHEN and separate UTILITY ROOM. The bay fronted, DUAL ASPECT LIVING ROOM sits at the front of the property, a large reception room/ downstairs bedroom and theres a lean to which gives access out to the garden. On the first floor are THREE DOUBLE BEDROOMS, the master benefits from a generously sized BALCONY, and a fitted bathroom. Separate from the main residence there is a GARAGE and the extensive PARKLIKE GROUNDS provide seclusion and complete privacy.